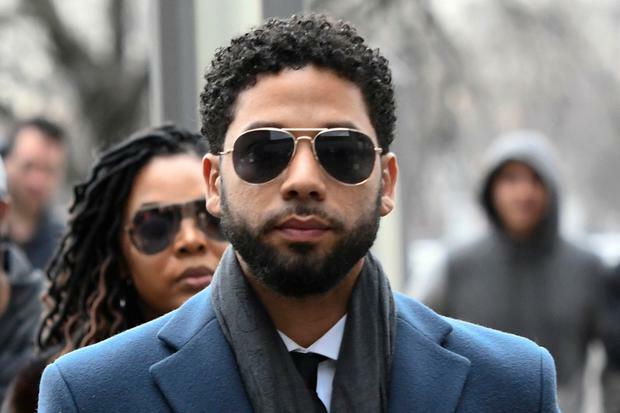 All charges against 'Empire' actor Jussie Smollett have been dropped, according to his attorneys. Mr Smollett's legal team told The Associated Press the charges alleging that the actor lied to police about being the victim of a racist, homophobic attack have been withdrawn. Lawyers Tina Glandian and Patricia Brown Holmes said in a statement that Mr Smollett's record "has been wiped clean". The actor had been indicted on 16 felony counts related to allegedly making a false report when he told authorities he was attacked by two men. In a statement, a spokeswoman for the prosecutor's office offered no detailed explanation as to why the charges have been dropped. "After reviewing all of the facts and circumstances of the case, including Mr Smollett's volunteer service in the community and agreement to forfeit his bond to the city of Chicago, we believe this outcome is a just disposition and appropriate resolution to this case," the statement says. Mr Smollett had made a $10,000 (€8,870) bond payment to get out of jail after his arrest on the charges. Police and prosecutors had alleged that Mr Smollett orchestrated his own attack because he was unhappy with his pay on 'Empire' and was seeking to promote his career. Mr Smolett has insisted that he is innocent and his legal team have previously referred to the charges against him as "prosecutorial overkill". The actor told authorities in his initial report that two masked men shouted racial and anti-gay slurs, poured bleach on him, beat him and looped a rope around his neck. He claimed they shouted, "This is Maga country" - a reference to President Donald Trump's "Make America Great Again" campaign slogan. Police previously alleged Mr Smollett hired two men to attack him and paid them $3,500. Authorities have also claimed that before the attack, Mr Smollett sent a letter that threatened him to the Chicago studio where 'Empire' is shot. The FBI, which is investigating that letter, has declined to comment on the investigation.